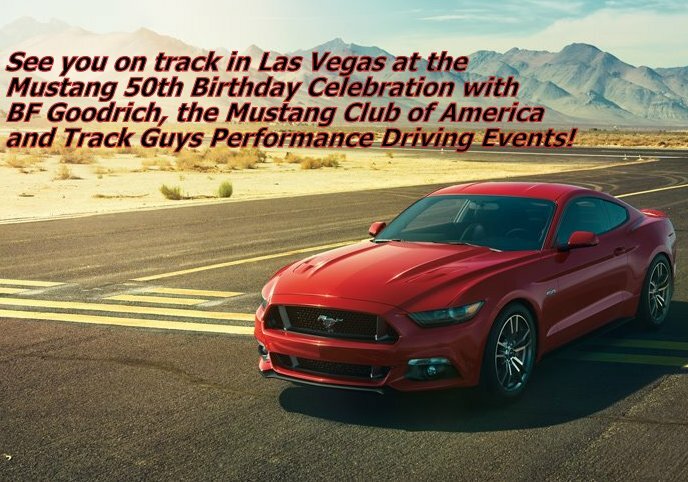 Track Guys Performance Driving Events is pleased to announce that we have been selected by the Mustang Club of America to conduct the on-track driving event that will be held April 16-20 in Las Vegas, Nevada as part of the official Mustang 50th Birthday Celebration! As many of you may know, all three of the Track Guys’ management group (Dell Hughes, Jonathan Blevins and Jeff Lacina) drive Ford products on a daily basis, as well as own them as our “vehicle of choice” for our own on-track fun. Additionally, a vast majority of our Track Guys in-car instructors also drive Ford Mustangs both on the track and on the street. Track Guys started working with the Mustang Club of America in 2012 and in 2013, the MCA sponsored our events by providing the Saturday lunch to all our driving participants at our Texas World Speedway and Sebring International Raceway events. A HUGE thanks to the MCA Driving Events Committee and the MCA Board of Directors for supporting our events and participants in 2013. With two years of working together behind us, we were asked by the MCA’s Mustang 50th Birthday Celebration team to put together a plan for the Las Vegas driving event – what an honor this event will be! The Mustang 50th will be a once-in-a-lifetime event and Track Guys will be at the heart of it. For this event, we will be conducting the on-track driving events and providing participants with some basic classroom and in-car education. 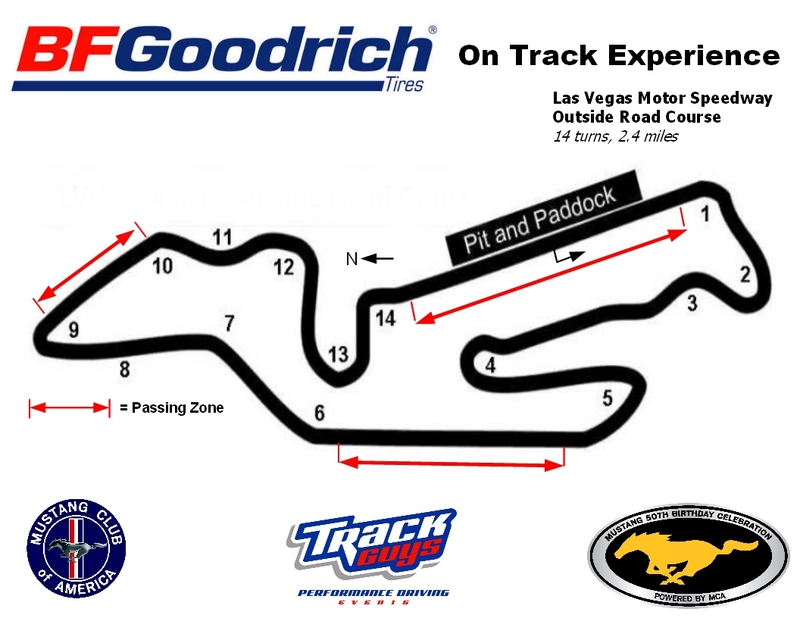 Our goal is to make SURE that everyone who signs up to drive at the Las Vegas Mustang 50th Birthday Celebration will have a great, safe and memorable time enjoying their Mustang on the 2.4 mile “outside road course” in Vegas. Because this is an official MCA event, you will need to register for this event on the Mustang 50th Birthday Celebration web site. We want to thank the Mustang Club of America, the MCA Driving Events Committee and of course, the Mustang 50th Birthday Celebration Committee for selecting Track Guys to be an integral part of this don’t-you-dare-miss-it-event for Mustang owners, drivers and enthusiasts from around the world. This entry was posted in Track Guys Events, Track Guys in the news, Track Guys News, Tracks and tagged high-performance driving, MCA, Mustang 50th, Mustang 50th Birthday Celebration, Mustang 50th Birthday Las Vegas, Mustang Club of America, Mustangs in Las Vegas, Performance driving. Bookmark the permalink.